R. Kelly’s serial abuse of Black women and girls has been one of the entertainment industry’s worst-kept secrets for the entirety of the 21st century. In the mid 90s, Kelly was romantically linked with and even briefly married to 15-year-old singer Aaliyah, for whom he wrote and produced the incriminatory hit “Age Ain’t Nothing But a Number.” An explicit bootleg tape which appeared to feature Kelly abusing yet another teenage girl circulated on street corners as early as 2001. In 2017, a Buzzfeed exposé alleged that the man who famously crooned “I’m a bad man/And I’m not ashamed of it” held several women captive in his home in a cult-like harem. Yet it took the convergence of the #MuteRKelly movement, the January 2019 release of documentary Surviving R. Kelly and popular culture’s broader reckoning with the pattern of sexual violence perpetrated by powerful men for the self-proclaimed Pied Piper of R&B to face consequences for orchestrating his salacious symphony. At long last, Kelly has now been charged with 10 counts of aggravated criminal sexual abuse involving four women, three of whom were minors at the time. 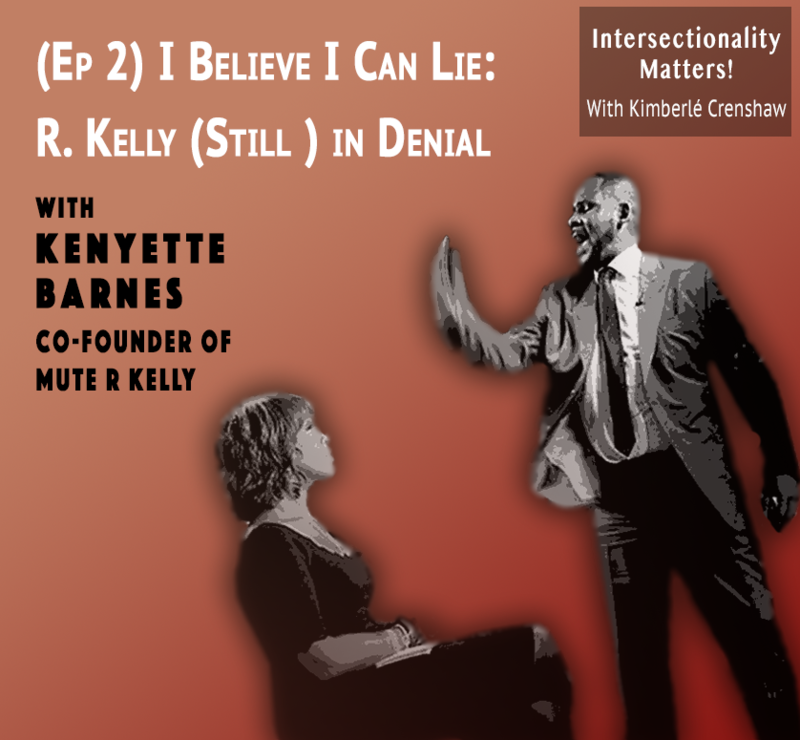 On this timely and trenchant episode of Intersectionality Matters, host Kimberle Crenshaw goes beyond the sheet music with #MuteRKelly co-founder Kenyette Barnes to rupture the rhythm Kelly has used to give Black women and girls the blues for decades. On August 1, 2016, Baltimore County police arrived at the Randallstown, Maryland apartment of 23-year-old Korryn Gaines to serve a warrant alleging that she had failed to appear in court. Gaines, who had miscarried twins as a consequence of improper treatment while being held in connection with a traffic stop, had received paperwork for the stop that did not provide the date on which she was expected to appear. A month prior to the day officers descended on her home, Gaines had visited the police station seeking clarification about her court date, only to be told that the officer who had issued the paperwork was unavailable. When Gaines noticed police attempting to force entry that day in August, she sat down in her living room with a legally owned firearm, and a 6-hour standoff ensued. Gaines had amassed a sizable online following via her activism and poetry, and narrated the sequence in real time on Facebook Live until the social media portal shut her page down per police request. During the 6-hour standoff, Gaines relocated to her kitchen, at which point Officer Royce Ruby, Jr. fired at Gaines from outside her apartment. Officer Ruby then entered the apartment and shot Gaines three more times. One of the bullets passed through Gaines and wounded her young son, who survived but sustained lifelong disabling injuries. County prosecutors concluded that the killing of Gaines was justified, and Officer Ruby was not criminally charged. Read more here. 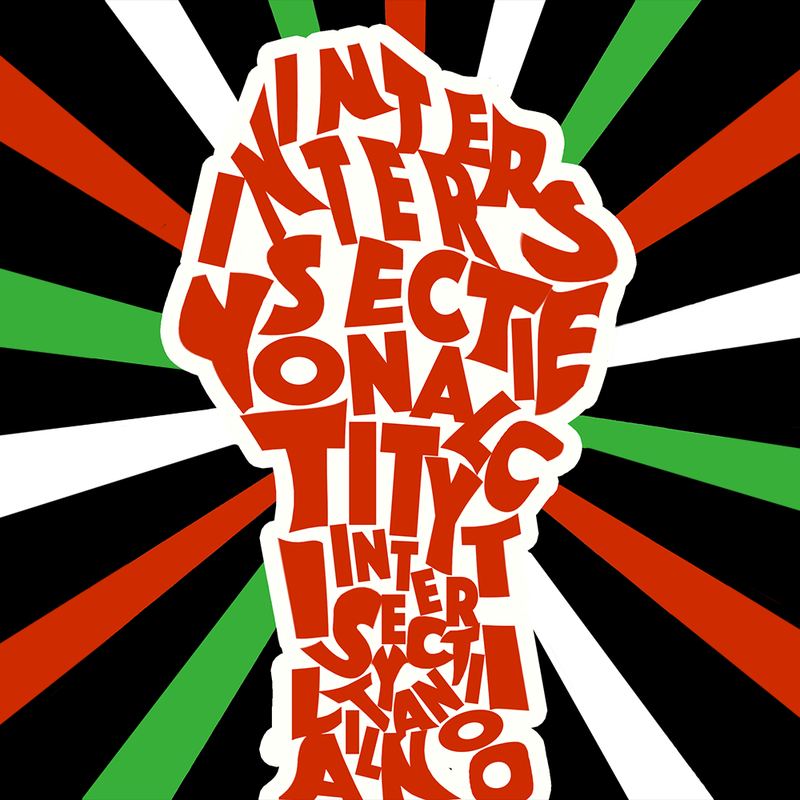 Win or Will An Intersectional Clapback Against 45 Prevail?